A total of 679 assembly seats in the five states were to go for election, but due to the death of a candidate in Rajasthan, polling was countermanded on one seat. 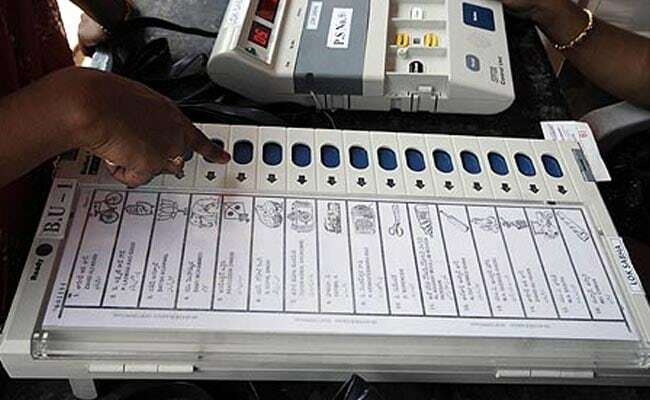 The electoral fate of over 8,500 candidates of five states which went to polls recently is sealed in over 1.74 lakh EVMs which will be opened Tuesday. These electronic voting machines are now stored in over 670 strongrooms across Rajasthan, Madhya Pradesh, Chhattisgarh, Mizoram and Telangana. A total of 1,74,724 EVMs were used at polling stations in the five states. The maximum 65,367 machines were used in Madhya Pradesh. A little over 8,500 candidates were in fray in the five states with 2,907 in Madhya Pradesh. After voting, the EVMs have been stored in strongrooms. According to the Election Commission, there is one strongroom earmarked for every assembly seat. EVMs which were kept as reserve or had developed snag are kept in a separate facility. The strongrooms will be opened Tuesday in the presence of candidates or their representatives from where machines will be taken to counting centres. The results will set the tone for the 2019 Lok Sabha election. These five Assembly elections would be crucial for the BJP as it gears up for the Lok Sabha election next year and is in power in three of these states - Rajasthan, Madhya Pradesh and Chhattisgarh. While the Congress is in power in Mizoram, Telangana Rashtra Samithi ruled Telangana before the Assembly was dissolved. The BJP is trying for a fourth term in Madhya Pradesh and Chhattisgarh and to retain power in Rajasthan. The three states also played a significant role for the BJP in the 2014 general election, when it had won 62 out of the 65 Lok Sabha seats in these three states. The elections also hold significance for the Congress, which is out to challenge the BJP's rule in the states even while protecting its last bastion in the North-East. Mizoram is the only remaining state in the North-East, which is not under the rule of BJP-led NDA. The eight North-East states together have 25 Lok Sabha seats.